This is the The Easiest Sweet Potato Brownie recipe you’ll ever see! Including alkaline, anti-inflammatory and anti-oxidant rich ingredients, it only takes 15-20 minutes to make! I love this for it’s speed, ease and deliciousness – gets you out of a bother when you have a sweet tooth but contains only 3-4g of sugar per serve! That’s practically nothing! 2) Set that aside and cool and in the meantime, blend the nuts, cacao and salt until reasonably fine. 3) Put this in a mixing bowl with the coconut oil, coconut flour (if using) and rice malt syrup and mix through thoroughly. 4) Once the sweet potato has cooled, mash this and then stir and fold this into the mixture. 5) Put everything into a lined or lightly greased pan and press it down firmly, and then put into the fridge or freezer (depending on how you’re going to use it – see below). This makes about a dozen decent slices (or more if you want them for snacks) and contains zero fructose and very little sugar – BUT – lots of protein, fibre and healthy fats to keep you going for hours. If you are going to eat all of them between yourself, family, guests etc these within a couple of days, put straight into the fridge. However, if you are planning on having them slowly over a week or two, cover and put in the freezer as sliced, individual serves. You can remove them and enjoy within just 10-15 minutes of taking them out of the freezer. Read Next: My Amazing Chilli-Chai Hot Chocolate Recipe! Hi Taylor – I am – slowly but surely, it’s quite the task as there are over 200 of them on here. Ross when you say blend nuts and cacao together is it with liquid in a blender or is it dry in a nut grinder? You mention coconut flour in the instructions but I don’t see it in the list of ingredients. What am I missing? 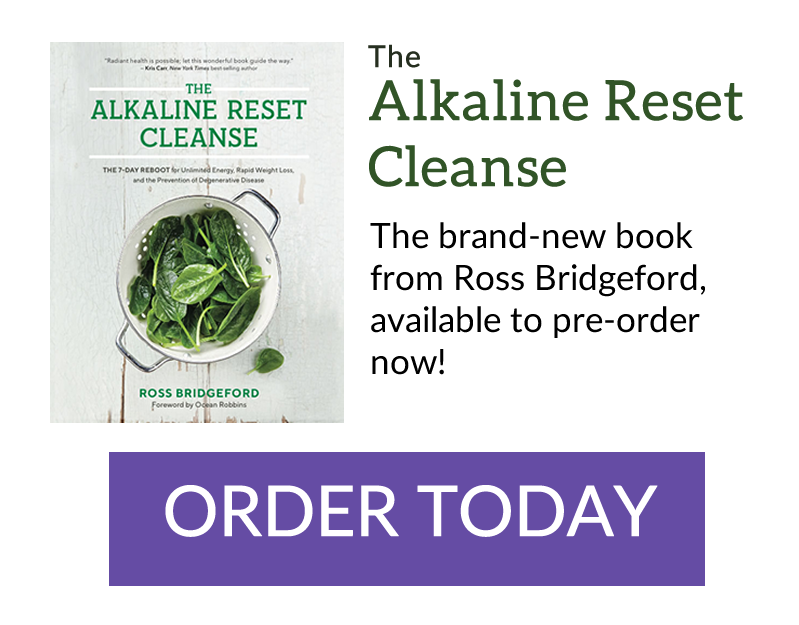 I have been diagnosed with interstitial cystitis ….will the alkaline diet help me?? I have been instructed to leave out all citrus fruits! I will like to know if I extracted the lemon juice ahead of time and keep it al the frige, it will lose the nutritional value? I’m doing healthy eating (and cooking) with my Kindy class. This is a definite must! Thank you. Will try. 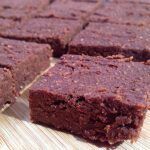 Finally a brownie recipe that is delicious and also good for you. You’re a genius, Ross. Love you Ross. I enjoy everything you send. If you put some shredded unsweetened coconut flakes in, seems like you could scoop and drop and make similar to No Bakes. Would at work! Or would they fall apart? Sound yummy! Hi there. Excited to make this but one slight drawback – cacao – which I have an intolerance to and quite high on my list. What would you suggest instead or would a substitution completely wreak havoc on this receipe. Thank you! You could use very high quality, organic dark cocoa instead. It would contain more sugar and be slightly sweeter, but probably still pretty good! Thank you my plan is to start a alkaline diet soon. Thanks for the Brownie recipe. If we add coconut powder, we may need more syrup, I think… See our presence in Istagram devi_panicker. This looks delicious. Looking forward to whipping these up. I have everything on hand except for the rice malt syrup. What could I use as a substitute? I’m going to try raw honey instead. You are God’s gift to us. I will definitely try these. thank you.